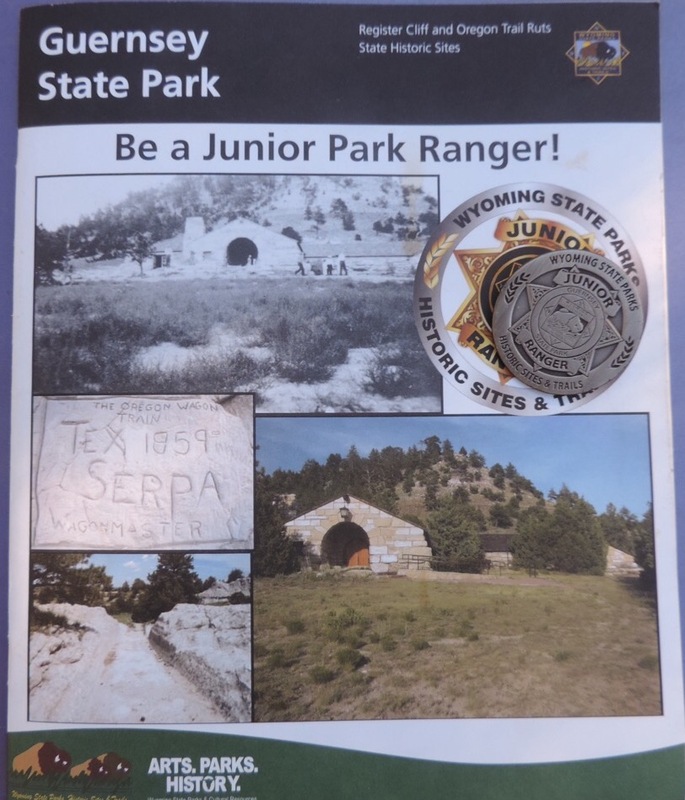 This is a very unique Junior Ranger program, a state park partnered with a National Park Site, in one booklet with a special award if both programs are completed. 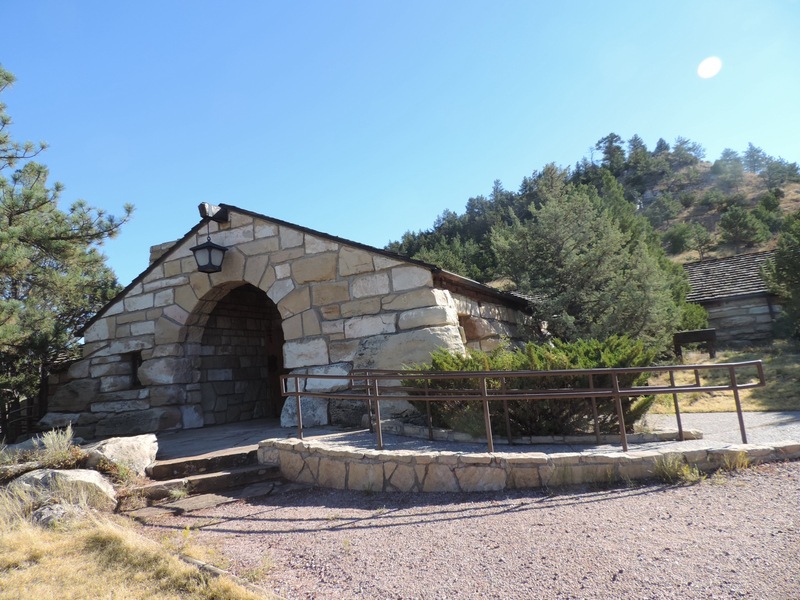 I have been to Fort Laramie NHS on several occasions, but had not visited the state park. 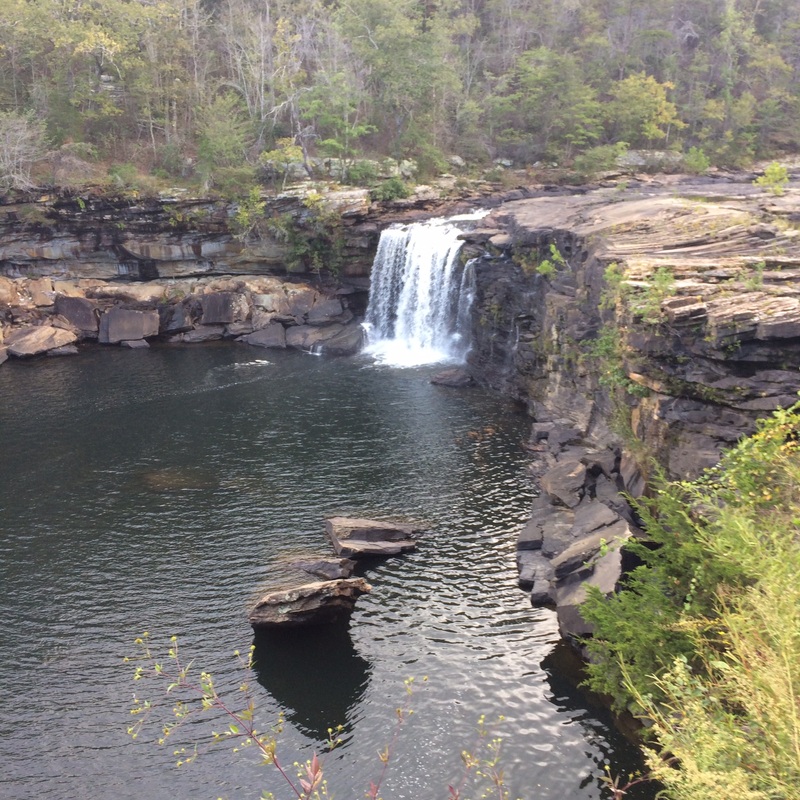 It turned out to be a wonderful combination of places to visit. One booklet contains both programs. Neither programs indicate an age, upper or lower, so it is considered Senior Friendly. 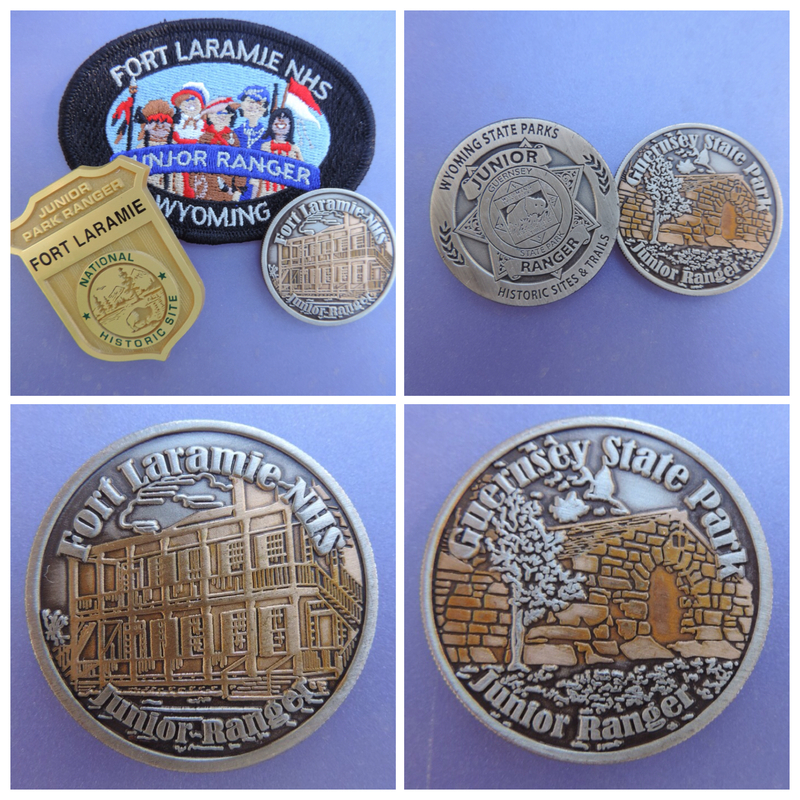 I started at Fort Laramie NHS with the activities; Visitor Center/Museum, Fort Buildings (10), Trash and Artifacts, People from the Past, Scavenger Hunt Bingo. In order to complete the booklet I walked the perimeter of the fort to visit the buildings and get the requested information. At first I thought counting the fireplaces and stoves in Old Bedlam was busy work until I learned that stoves were ordered for every room, even though there were fireplaces in all of the rooms. The first winter was so cold and the fireplaces did not heat well enough so the stoves were added. In order to complete People from the Past you had to ask a ranger, which provided additional information about the history of the fort. 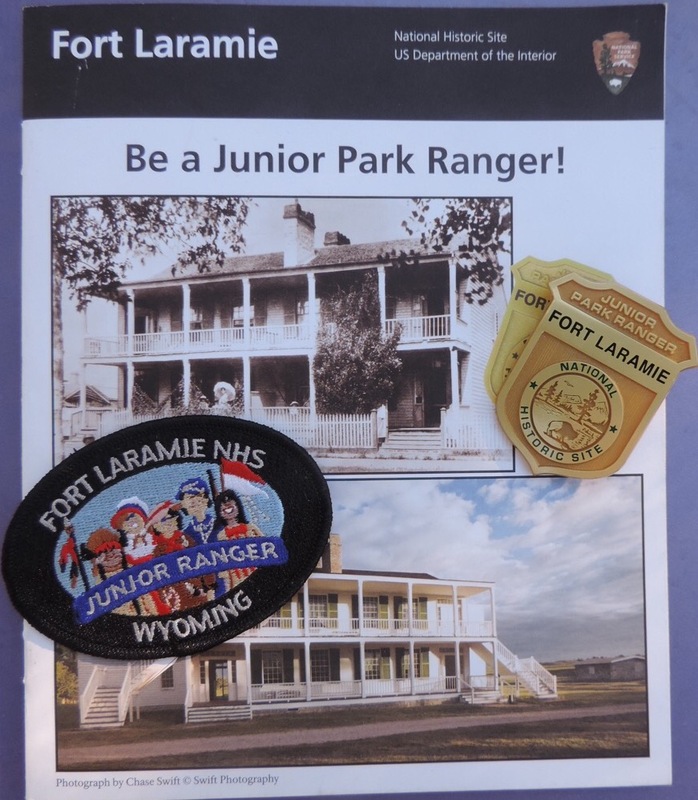 A ranger reviewed my booklet and stamped the certificate with the Fort Laramie NHS passport stamp. This finished the part of the booklet for Fort Laramie NHS. 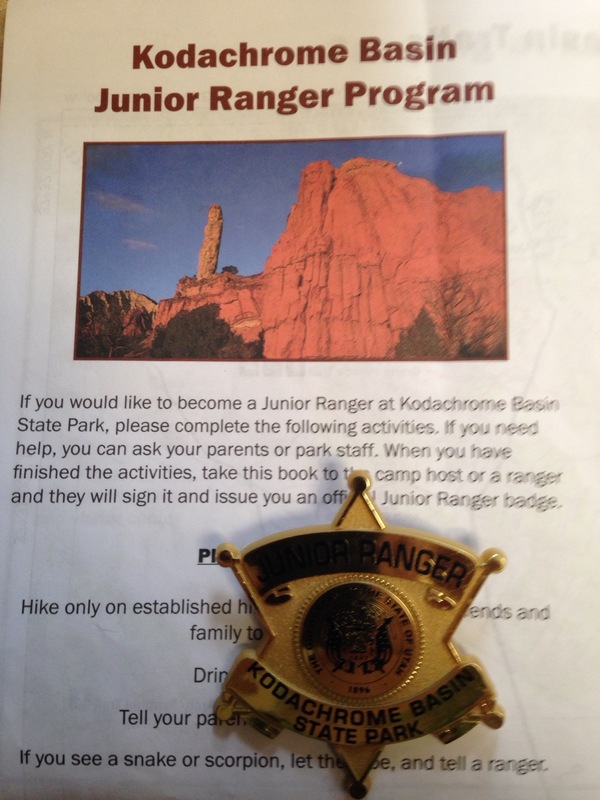 I received the standard Junior Ranger badge and purchased the embroidered patch before leaving the fort. Before heading over to Guernsey State Park there were two places away from the park that had information I needed for their program. 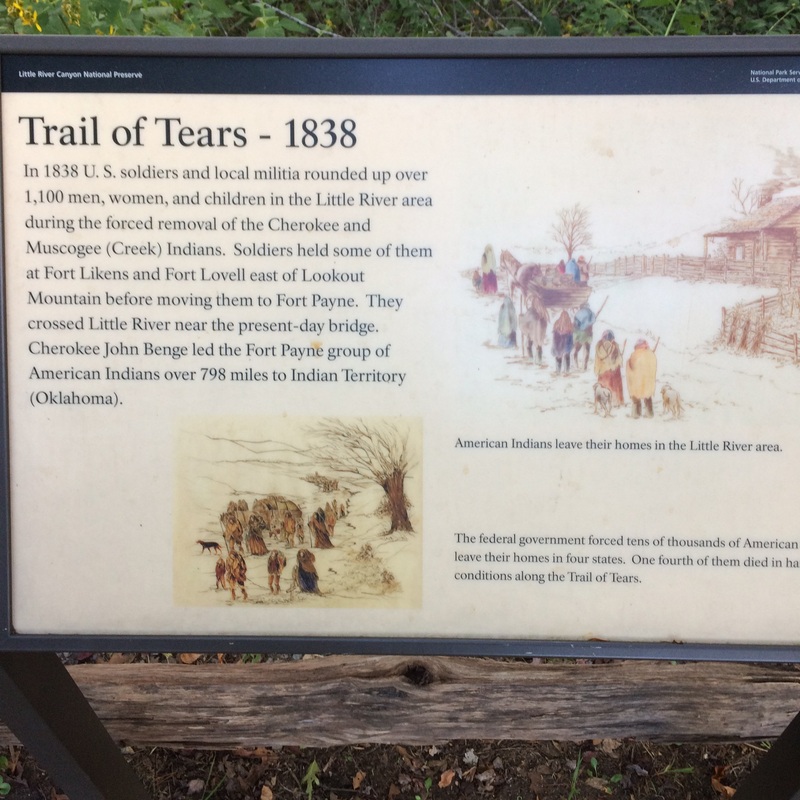 I had visited the Oregon Trail Ruts site previously, but enjoyed walking the short interpretive trail again. 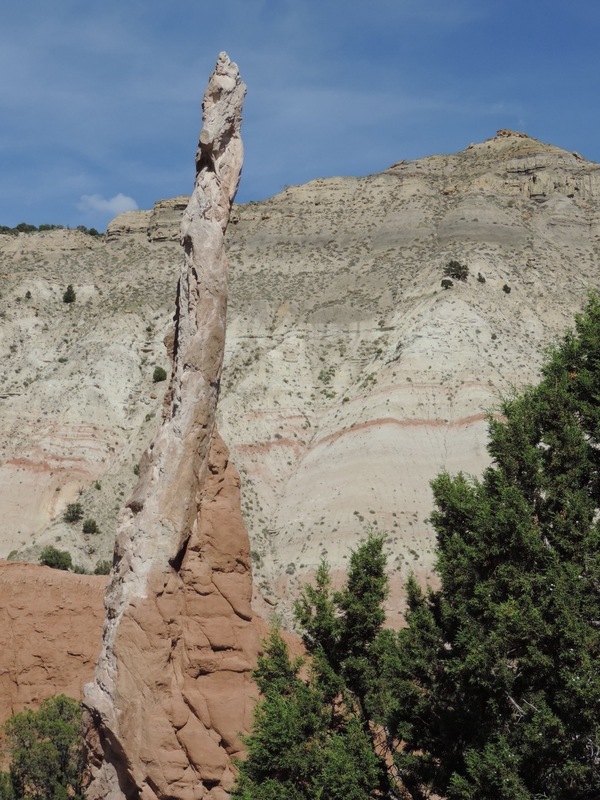 From there I drove back to Register Cliff to view the many names engraved in the cliff. Unfortunately many other names have been carved, some very recently. 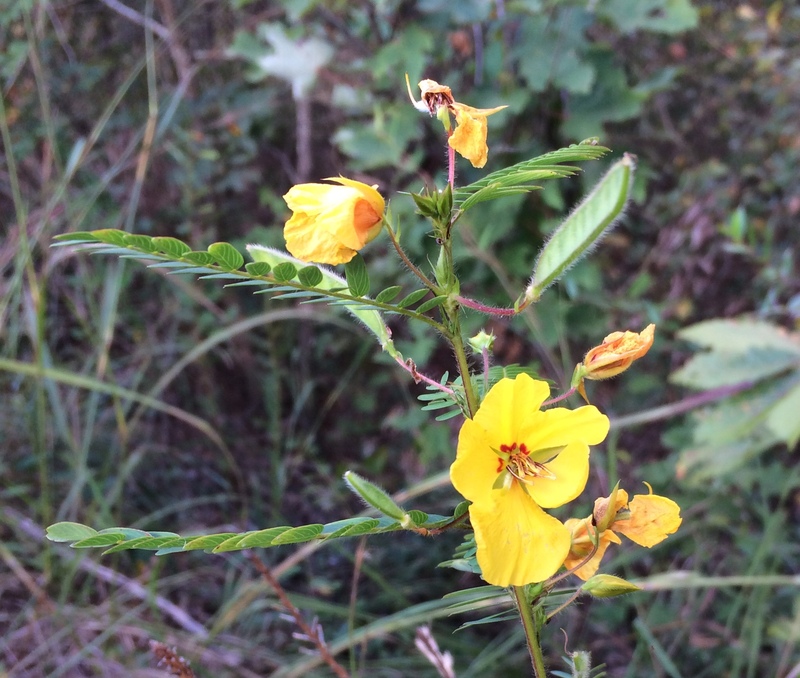 With some effort the names from the 1800s could be identified. 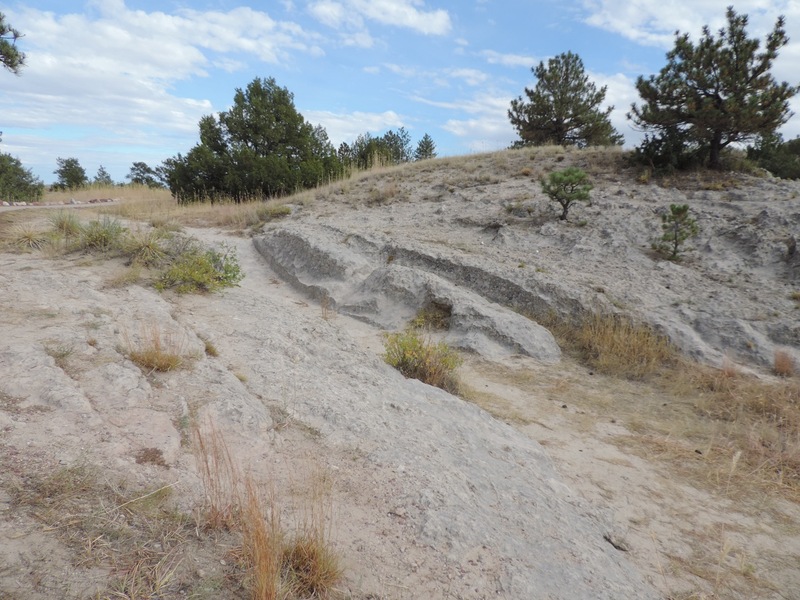 These sites are between Fort Laramie NHS and Guernsey State Park, south of the town of Guernsey. Both places are open to the public and free. 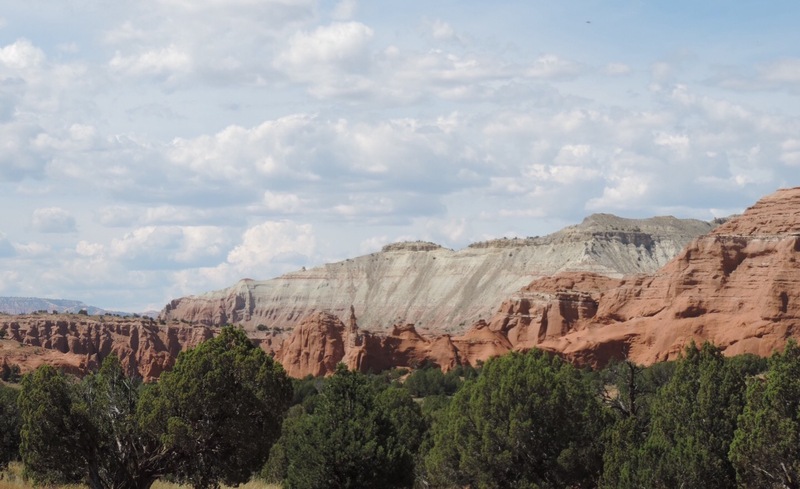 We left Guernsey and headed west on US 26 to enter the state park where we camped for the night. The next morning we went to the Civilian Conservation Corp museum, built in 1936 by the CCC. It is an amazing building, frozen in time. 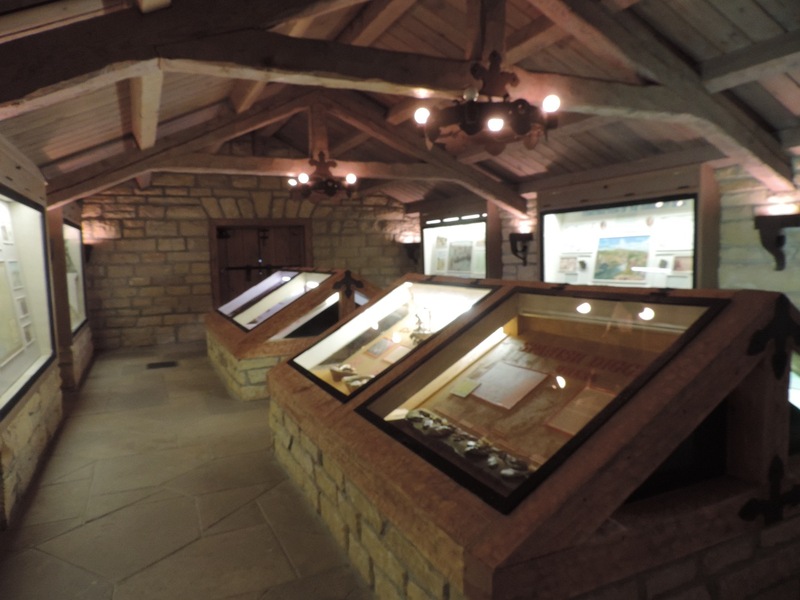 The displays are original to the building, as is the lighting. Walking through the museum is like stepping back in time. 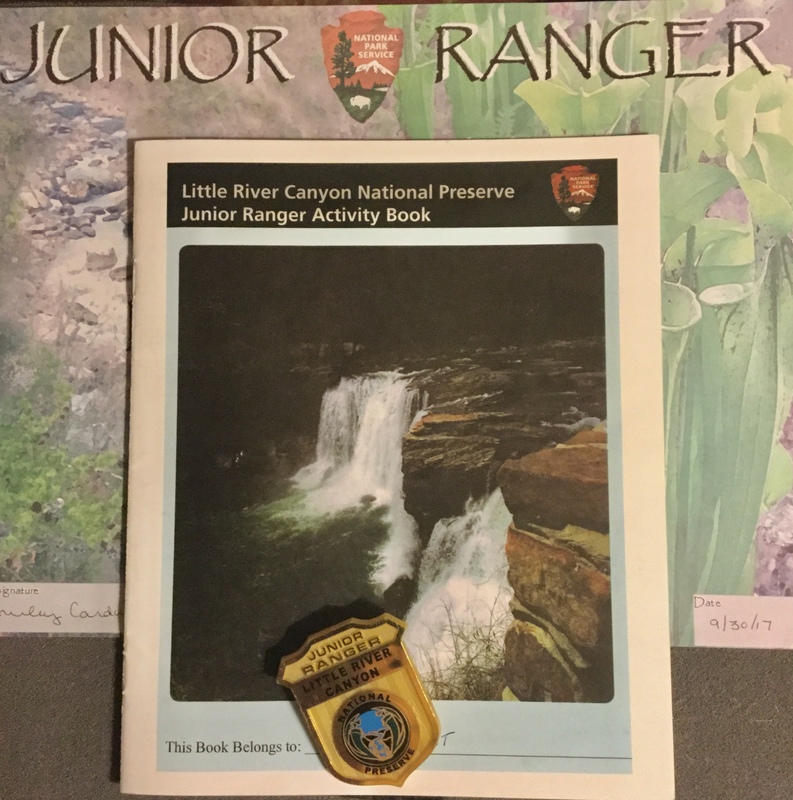 The Junior Ranger booklet has you find information inside and outside of the museum. 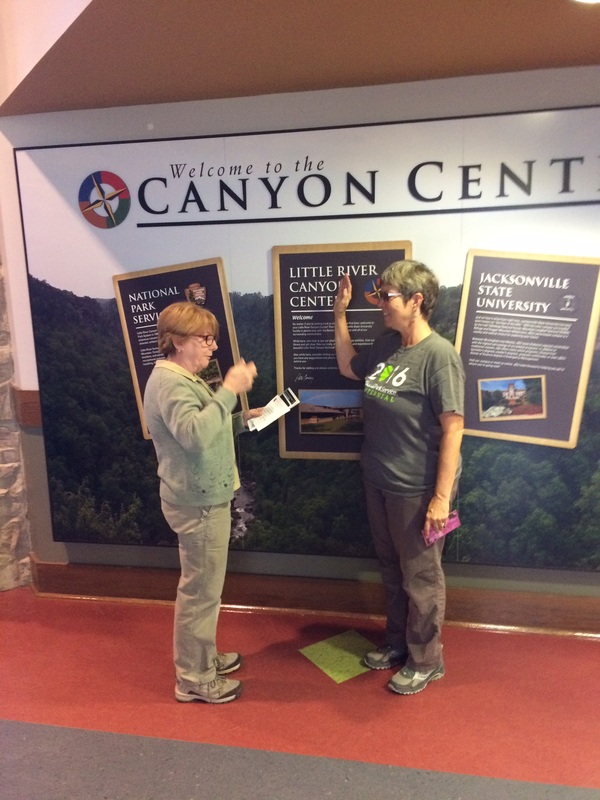 The staff member in the museum reviewed my booklet and stamped the certificate with the Guernsey State Park stamp. She presented me with an attractive metal Wyoming State Parks Junior Ranger badge. Because I had completed both programs she awarded me the special coin commemorating both sites.